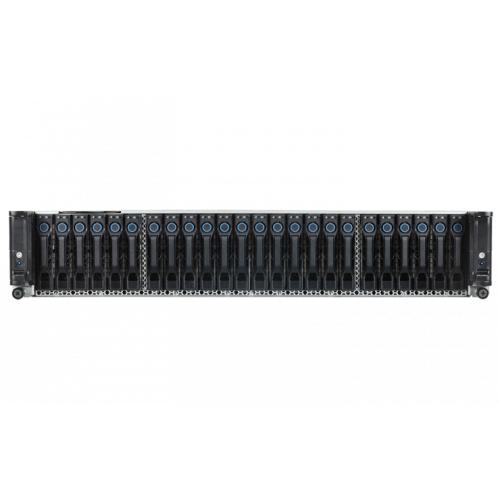 QuantaPlex T21SR-2U is a 2U two-node Cluster-in-a-Box server. Two server nodes are clustered via a PCIe interconnection and sharing up to 24 disk drives in a 2U chassis.The 10 GB connect between the server boards via the mid-plane, so if one server board fails, the other server board is able to take control and gain full access to HDD and front end host I/O, keeping the system up and running. 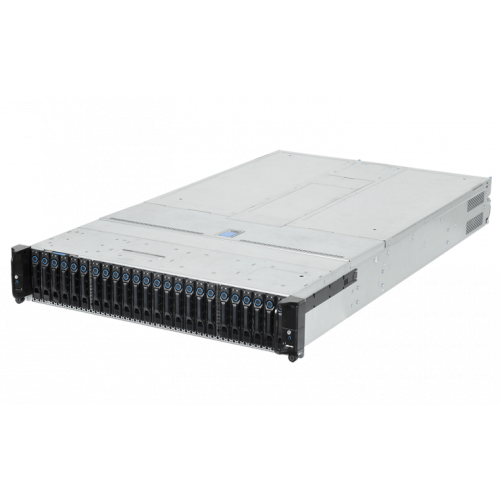 Both server boards can also work in Active-Active mode.System Integrity ProtectionThe biggest challenge during system operation is avoiding storage server failure, power loss, short interrupt or power supply unit failure. QuantaPlex T21SR-2U uses a backup battery unit (BBU) to provide of power up to 120 seconds for each node after a power failure. 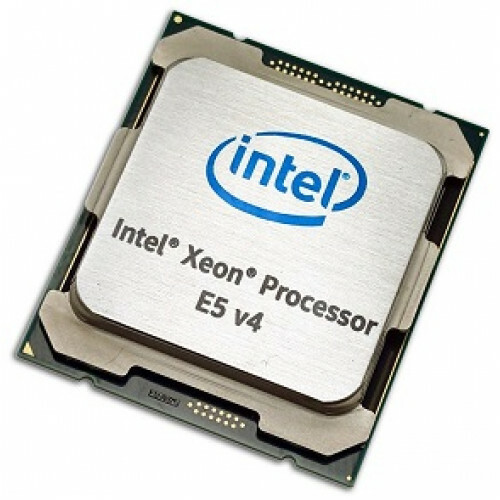 It also assists a gracefulto shut down and maintains system and data integrity. 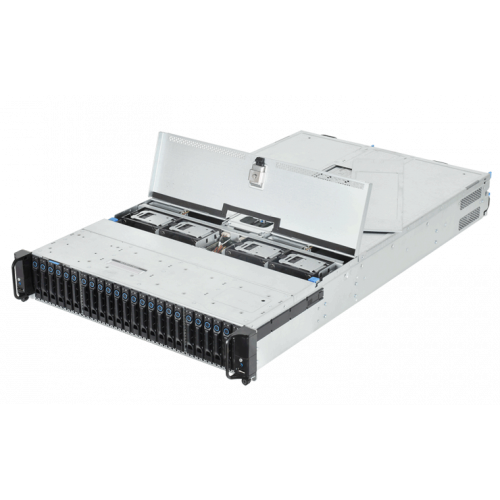 QuantaPlex T21SR-2U offers two kinds of fail-over solutions, the 10Gb PCIe interconnection and the Non-Transparent Bridge (NTB) technology. An owner can choose either one or both. 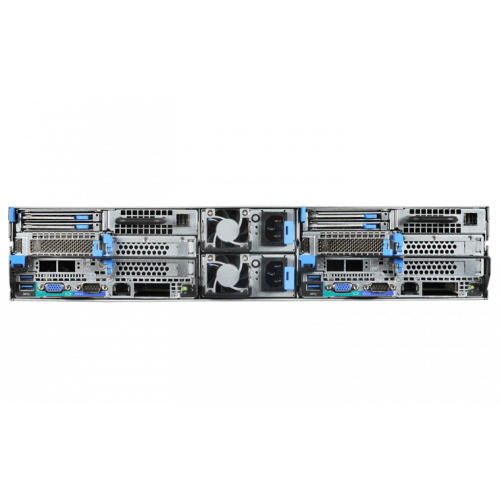 This architecture allows storage software vendors to implement enterprise-level cluster functions with rapid cached synchronization to meet their high-availability requirements.Lastest Generation Platform with DDR4 TechnologyQuantaPlex T21SR-2U operates with the latest Intel® E5-2600 v3 & v4 product family and the newest DDR4 memory technology. 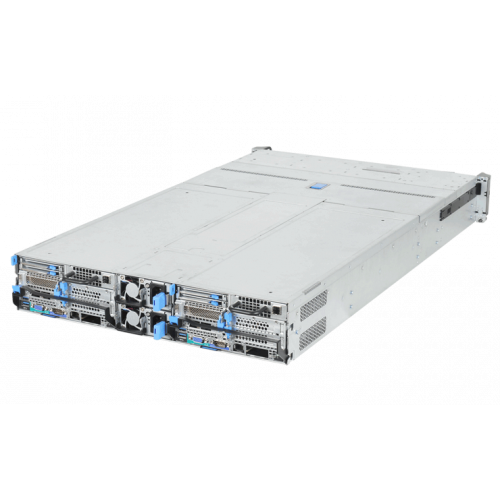 It provides maximum 18-core count CPU with enhanced QPI bandwidth to 9.6GT/s, a 20 percent improvement from the previous generation. 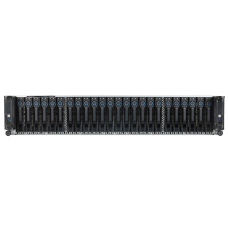 With up to 1024 GB memory capacity, the system performance has a Linpack score up to 80 percent* and is optimized to run the most demanding of applications.Various OCP Network OptionsQCT uses the modular design concept to optimize system interoperability, flexibility and serviceability. QCT’s flexible network mezzanine cards are designed to fit into every QCT server/storage system to reduce the complexity and uncertainty of the system availability options. QCT dual rotor fan maintains non-impact performance. Compared to a single fan design, a dual rotor fan keeps the system’s internal air flowing in the right direction if one rotor fails, enhancing product stability and durability.High ServiceabilityThe QuantaPlex T21SR-2U consistently delivers high serviceability to reduce service time and costs. Its modularized design concept for the fan cage and the PDB cage reduces cable routing.